I still remember how I found these forums so long ago. I typed "how can I give back to the brony community" into Google, and it led me to a thread in the Life Advice section. Giving back to this community or contributing something to it in general has always been a goal of mine as long as I've been here. It's not a goal that has some point where I've finally completed it, but it's something I strive to accomplish continually, whether through my time on staff, my current attempts to create pony art for everyone to enjoy, or even the little things like being here and being a friend where I can. Hmm... I'd probably emigrate or try to find loopholes assuming conscription was introduced. Nope me again @FlareGun45 your turn. They should have used this name to tick off the smarks. I have quite a bit of doubt we're near the end - WW3 is unlikely to happen due to the nuclear deterrent and M.A.D., and the earth isn't due to become uninhabitable for another 500 million years or so. G.M. Berrow said all that in the box? Wow! And @VG_Addict, I have to agree with Whomps here: "what's with the attitude? After looking at Berrow’s letter, my post saying good riddance seems really mean. Wait a minute when was this announced? I'm enlisted right now. If I was drafted my CO would be pissed. I live in Washington. Werewolves have fur and Vampires are dead, so the cold and rain doesn't affect them so much. Are there any Angels here? Well, the rooster must leave now for a trip to the café. 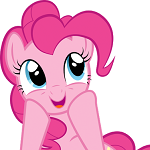 Oooh a chocolate pinkie pie . And have fun at the cafe bro and thanks you take care as well. Babs Seed should return in this episode, knowing the title with the word Seed in it. I once thought of writing a story where a human turned Stallion had no Cutie Mark and ends up getting it to appear as his memories are restored. In the end, he wrote to the CMC pre-Season 4 that if he, a full grown stallion, can get his Cutie Mark to appear then so could the Crusaders. He was so proud of them when they finally got them quite some time later. Take it from a sailor, we are no where near a war. Why? Global Economies. I can, and have, go into a multiple hour long discussion about this, but I don't have time right now. Plus every single nuke in the world is in an extremely rusted out state it will take a miracle to get them flying. America's nukes launches on Floppy Disks (Look those up youngsters, they're decades old.) Basically though if any major nation tries to declare war on another major nation, their economies would crash and burn within HOURS and revolution will be in a matter of days. America almost had a civil war over our involvement in Vietnam, due to the draft and the taxes needed to pursue it. No politician in their right minds would go to war with another major power. It would be political suicide. It will never happen. The world will end due to the environment, not because of a nuclear holocaust. Sounds like I’ll a be a fun episode really looking forward to it. I hope Starlight and spike and moondancer appear in this episode and I hope they all interact with each other. On the internet I try to keep it clean. At work I'm clean as a whistle. At home or with friends, one out of three words are me cussing. i assumed that was what happened at the camp talent show, but noticed when I rewatched that she already had her cutie mark earlier in the sequence. But of course it glowed during the talent show just as it does in the "just a pony" finale. I like to sketch in my notebook, you know when I have both hands, and I hate it when my hand smudges what I've already drawn. This seems like Twilight's worst nightmare.